Maggie Sottero Designs showcased on the catwalk at Barcelona Bridal Fashion Week for the first time in April 2018. This was also the company’s first time having Curve on the runway. Bustle in Baton Rouge, La. Sarah Wampler, Owner of Bustle in Baton Rouge, La., isn’t afraid to use the term “plus-size,” as many brides ask specifically to see those gowns. A size-24 mannequin on display at The Gilded Gown in Knoxville, Tenn. Successful salons often integrate larger mannequins around the sales floor to reinforce the subtle message they carry all sizes. 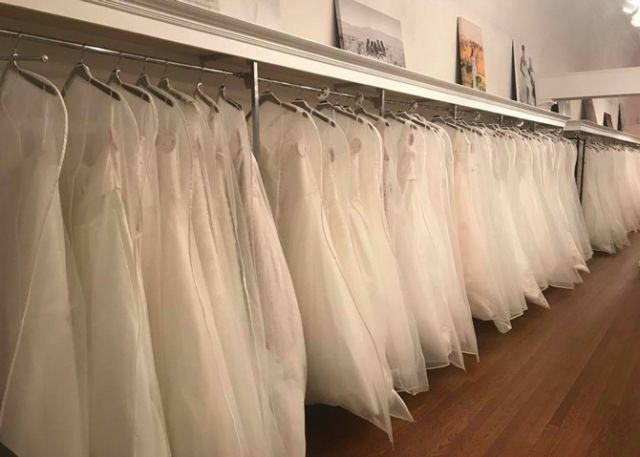 Plus-size gowns are displayed first at Celebration Bridal in Lynchburg, Va. “We don’t want a plus-size bride to have to walk past all of the smaller gowns that she can’t try on before getting to the plus-size gowns,” owner Leecy Fink says. 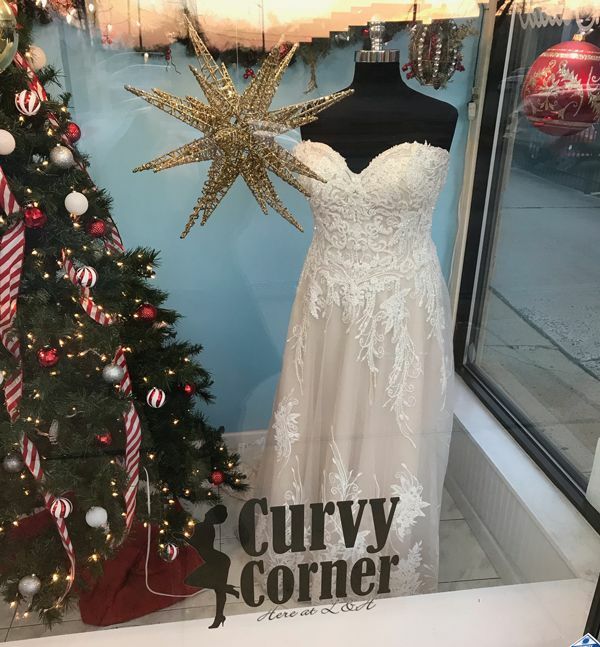 Besides featuring a Curvy Corner display at both its couture and main store, L&H Bridal in Philadelphia advertises Curvy Corner on all three of its websites, and each store has plus-size mannequins. 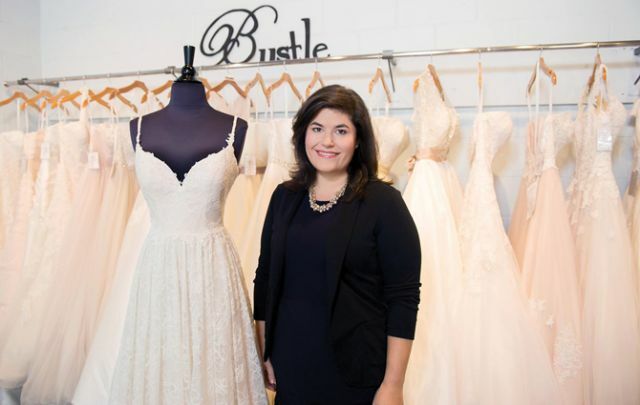 Blush Bridal & Prom in the San Francisco Bay area has found success by calling bigger sizes “curvy and athletic” instead of “plus”. Blush Bridal & Prom, San Francisco, Calif. In bridal specifically, designers are creating or expanding an array of plus-size lines and collections; salons are adding this category in record numbers; and curvy models are increasingly being used for photo shoots, on market runways, in designer showrooms, and as part of manufacturer body positivity campaigns. So what is driving this change? The recent self-love and body positivity movements have played a significant role in society’s mindset shift. “More and more women are stepping forward and speaking up, embracing their talents and abilities, their bodies, their cultures and celebrating all that they are no matter their size, shape, color or age,” says Designer/Creative Director Roz la Kelin. "And as a bridal gown is likely to be considered one of if not the most self-expressive item of clothing a woman will wear in her lifetime, it makes sense women are speaking up to demand brands and media represent exactly who they are." Social media has helped fuel this fire, providing an easily accessible platform for plus-size women to vocalize their fashion desires and stand up to bullies. A poignant fat-shaming story can and often does go viral in minutes, and the significant amount of attention it garners compels even more people to speak out. This has created a metaphorical snowball effect that manufacturers, designers and retailers can no longer afford to ignore. While the number of bridal salons carrying plus sizes has traditionally always been above average compared to the mainstream fashion world, in recent years that percentage has skyrocketed, as more seek to add this niche, expand their offerings or even open separate plus-size locations. It’s particularly opportune timing because the combination of David’s Bridal’s November 2018 bankruptcy filing and the younger generation’s increasing desire to shop locally provides an excellent chance to pick up sales. 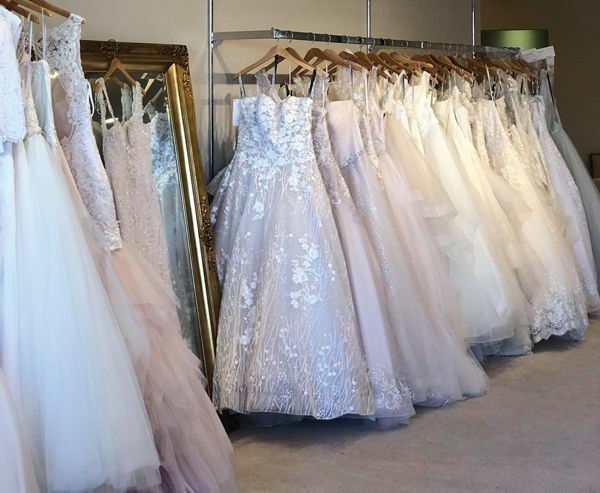 “I think people have a little less confidence in (David’s) product so independent retailers could really capitalize on that,” says Martin Thornburg, Lead Designer of the Martin Thornburg Collection and Chief Merchandiser for Mon Cheri Bridals. “Half of David’s sales are for plus-size customers. You’d be foolish to not carry some of that inventory in your store because you will close sales. Of course, recognizing this opportunity and knowing how, exactly, to best service the plus-size bride are different things. While she is, on a core level, just like any other size bride, wanting to find her dream dress and desiring/deserving the same spectacular treatment, the reality is there are certain unique considerations you must address with this niche. Below are some key questions to consider whether you are adding, expanding or excelling at plus-size bridal. “Plus-size” is the most commonly used term, and despite the fact not everyone likes how it sounds (we’re concerned about alienating brides and/or making them feel uncomfortable, is a common sentiment), there’s a valid reason to keep it in your salon’s vocabulary: it’s the most commonly Google-searched term as well. For that reason every salon should heavily advertise the fact it carries plus-size gowns online and via social media. Once the bride gets in your store, however, approaches can and do vary. 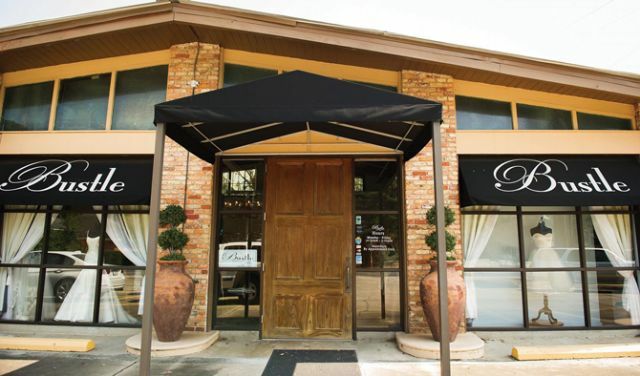 Some salons, such as Bustle in Baton Rouge, La., fully embrace the term. Others incorporate what they view as more uplifting expressions into their vocabulary. That’s definitely an approach Cheryl Lucido-Martinez, owner of Blush Bridal & Prom in the San Francisco Bay area, has found success with. Her store, whose tagline is “Rock Your Curves”, opened in May 2017 and specializes in bridal and prom up to size 30. However, rather than call the bigger sizes “plus” Lucido-Martinez refers to them as “curvy and athletic”, a concept she says has been a massive hit. Other popular terms used: full-figured, body positive, size inclusive, curvaceous. Should plus-size dresses be displayed in their own section or integrated in with other sizes? There’s no right or wrong answer; it can and does work both ways. Each owner must determine what makes the most sense for his or her salon, weighing several factors. For starters, what do customers desire? Are your stylists hearing an obvious preference being expressed? While a clear majority may help sway you in a certain direction it’s essential to remember that you can’t please everyone. “Every girl is different personality wise, and while some may feel better having their own salon others may say, ‘You know what? Why am I being separated from the rest?’ so it’s kind of a catch-22,” says Morilee’s Gardner, who personally would opt to mix all sizes together while incorporating plus-size mannequins around the store. This thoughtful touch will help ensure all brides feel welcome and included while serving as a visual reminder of the fact you carry larger sizes. Mon Cheri’s Thornburg also likes the idea of mixing sizes. “I think it makes for a better presentation of dresses,” he says. “The plus-size department can be daunting depending on how it’s marketed. . . if you have a sign that says ‘plus-size this way’ I think that could turn off quite a few people who’d feel uncomfortable being identified that way. Another consideration is your salon’s overall size. 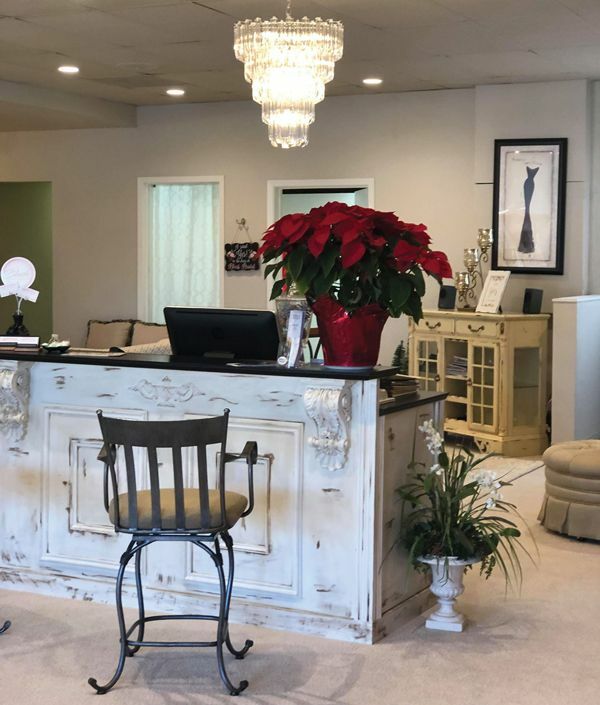 While it makes little sense for a tiny store to create a separate plus-size department, a salon with square footage to spare could more easily tackle this venture. If you do opt to create a separate area, it must be prominently displayed and include plenty of open space, both for ease of shopping and because of the message it sends. Finally, consider what percentage of your overall inventory is dedicated to this niche. Generally speaking, the higher that number, the more it makes sense to consider creating a separate section. Justin Alexander Warshaw, President & Co-Creative Director of Justin Alexander, recommends thinking in terms of 15: if you have more than 15 plus-size styles in-store, merchandise them in a separate section that is prominently displayed at the front of the store. If there are fewer than 15, a better approach might be to mix them with the regular-size gowns and explain to brides at the beginning of their appointment that top styles are available in two different try-on sizes. “This will help make brides comfortable and confident right away,” he says. Others agree the ideal approach depends on practical factors. 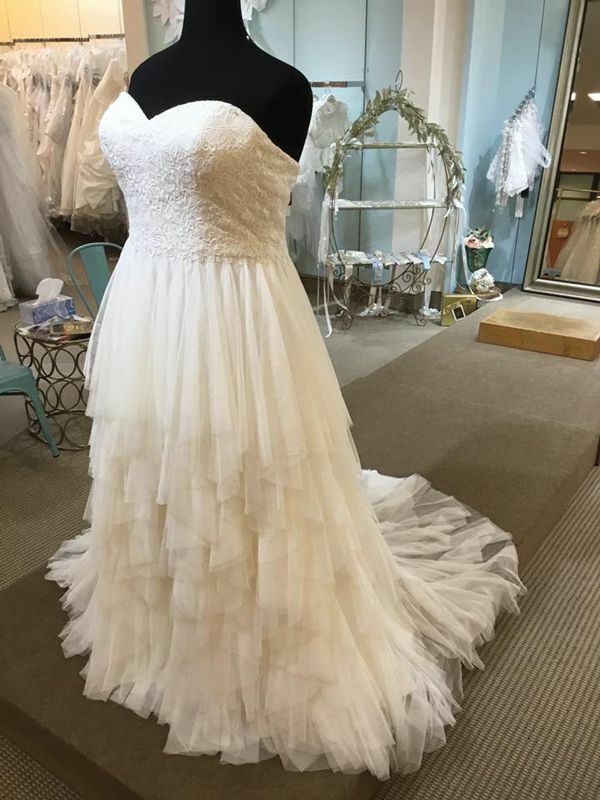 “If a designer only carries select gowns that come in plus-sizing, then I would create a specific section so the bride can be realistic on the designs that are available to her; if a designer can make any gown into a plus-size style like we do here at Casablanca Bridal, I would keep them with the rest of the traditional-size gowns,” Theophilus says. If you go the latter route consider adding a small gown tag noting that a traditional size can be made into a plus size so it’s not overlooked, she suggests. Regardless of whether you decide to integrate or separate sizes, it’s important to consider the proximity of your fitting rooms and viewing area to your plus-size gowns. Close access to both will be appreciated by stylists and brides alike, as not only are larger gowns heavier to carry, but plus-size brides will feel more at ease if they’re not required to walk clear across the showroom floor in order to view themselves. “It’s likely to be appreciated to avoid unnecessary comparisons,” says la Kelin, who favors separating sizes because of the clarity it provides both brides and stylists in terms of available inventory. “If a store’s current dressing room(s) and viewing layout is more open, however, then guide your stylists to please be considerate of your bride and her emotions,” she says. Hands down the first tip trumps all others: you must carry plus sizes! Although this sounds overtly simplistic and obvious, the reality is a number of salons still aren’t doing this. In fact, the number-one complaint plus-size brides have about their shopping experience is lack of choice in variety and sizing. Salons that excel at this niche typically buy the same dress in two primary sample sizes – somewhere between an 8-12 and also an 18-22. That way, almost any bride who comes in the door can try it on, an undeniably more pleasing situation for everyone. In addition to plus-size gowns it’s a good idea to stock larger-size bras, undergarments and accessories, all of which can make or break a look. If there’s a particular item you don’t carry, you must be able to refer brides to a store in your area that does. These recommendations will strengthen your reputation as a plus-size friendly full-service salon. 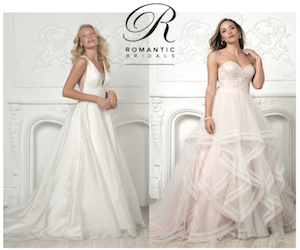 “The more (retailers) offer these brides the better it is for them – I really believe that,” says Morilee’s Gardner. Equally as important as carrying adequate inventory is to treat the plus-size bride with respect. Again, this sounds obvious but unfortunately is not always practiced in reality. In addition to being polite and friendly, treating the plus-size bride with respect means treating her just like any other bride: starting her appointment on time, asking the same questions, showing the same enthusiasm, providing the same amount of time, attention, options and amazing service. You must also show sensitivity and compassion when discussing body matters as this can be a touchy topic for many. Gone are the days when the answer to this question involved a particular neckline, shape, silhouette or fabric. The new mindset you must adopt: any style can work best for the plus-size bride – so long as she loves it, feels comfortable in it, and – importantly – it is the appropriate fit. That’s a sentiment echoed by many retailers and manufacturers: today’s plus-size bride is proud of her curves and wants to highlight them. As such, you should never assume that just because a bride is larger she is uncomfortable with or wants to hide her figure (conversely, it’s also a bad idea to assume that just because a bride is smaller or in “perfect” shape she is confident in her appearance). That said, in terms of stylistic considerations, proportion is important. Occasionally a spaghetti strap may need to be a bit thicker so it doesn’t get lost on a plus-size girl’s shoulder, for example, or a particularly challenging shape or silhouette may need a slight adjustment. Morilee’s Gardner loves a plunging V-neckline and off-the-shoulder styles, because she feels like the most beautiful part of a woman is that collarbone/shoulder area. “We have some dresses off-the-shoulder with long sleeves that are on fire both in small and plus sizes because it looks great on everyone – stretch lining, fit-to-flare, gorgeous sleeves – and we sell them across the board from 2 to 32W,” she says. Generally speaking, however, because there is no one “right style” for a plus-size girl, it’s crucial to offer brides a variety of necklines, sleeve options and silhouettes, including fit-and-flare, A-line and ballgown shape. The interior of the dress is also critical; look for stretch linings, support for the bodice and a comfortable fit. What should I look for when shopping for a plus-size collection? It’s imperative to keep an open mind as to what styles plus-size brides may want, and offer enough breadth and depth in your salon to serve different body types, style preferences and price points. After all, you never want to make plus-size brides feel their options are restricted due to size. It’s also crucial to be mindful of gown construction. Remember: just because a gown is sold in plus sizes does not mean it’s made to properly accommodate or flatter the plus-size bride. True plus-size gowns are not simply regular styles graded larger, designers stress. Rather there are specific design and inner construction elements that must be considered to flatter and enhance a fuller figure. • Do the gowns have boning that supports their structure and improves the fit? Boning under the cups and along the mid-section provides security for the bride, preventing her from needing to adjust her dress and allowing her to move freely. • Are there specialized cups? Having a cup that supports, shapes and lifts will give the bride an extra boost of confidence when she slips on her dress. • Is the dress comfortable? This is of paramount importance regardless of what style a bride is looking for. In fact, it is the number-one trait plus-size brides say they are looking for. 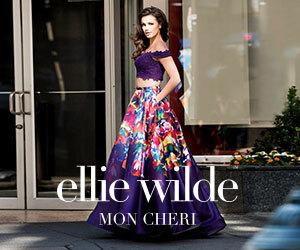 • Do the gowns include specialized straps, sleeves and jackets made with size 16+ proportions? This allows for a better look and more accommodating fit. • Is there a high quality of construction and design integrity? This will ensure a gown’s ideal fit and comfort while determining a silhouette looks great on any size bride. Finally, it’s important to understand how each manufacturer or designer supports the plus-size business, as this can directly impact your sales. While upcharges for plus-size gowns used to be common, most manufacturers and designers have eliminated them in order to encourage a more even playing field between plus and regular bridal. Additionally, many offer a host of other supportive tactics designed to help salons, including ongoing training and marketing resources; promotional pricing and/or special perks; and even national campaigns with well-known plus-size influencers, to which they dedicate significant marketing support. Justin Alexander, for example, recently shot two campaigns with model and body positivism champion Iskra Lawrence whereas Maggie Sottero Designs debuted a promotional video with Liris Crosse, a plus-size influencer model who stars in the line’s latest “Curve” campaigns. How should I train my stylists to sell to the plus-size bride? Successful plus-size stylists possess one key trait: Knowledge. Therefore, successful training centers around education – on various body types and proper measuring techniques, as well as design, fit, fabric and alterations. Various training resources exist, many provided by the manufacturers themselves. As well, there are certain exercises you can do in-store with your staff. “It’s important to look inside a dress – you can see the differences in the sizing, and I think that should be discussed,” Morilee’s Gardner says. “Because when you are taking a measurement of a regular 16 vs a 16W it’s not that much off but you almost have to train them to visually look at a girl and say – she’s a regular size because of her proportions, and this girl because of different proportions is a W size – it’s a little bit tricky. “From a pattern-making background, it’s a bit shorter waist, a fuller bust, a thicker waist, sleeves can be a little bit shorter and slightly fuller. . . so it’s these little things that make a difference,” she says. In addition, salespeople must be trained to really listen to the answers plus-size brides give to specific questions. Often, this involves role-playing exercises where a stylist will repeat back exactly what she hears and then use that information to select the perfect gown. While these types of exercises may seem simplistic the reality is they are crucial, as the ability to really listen is paramount to making the sale. 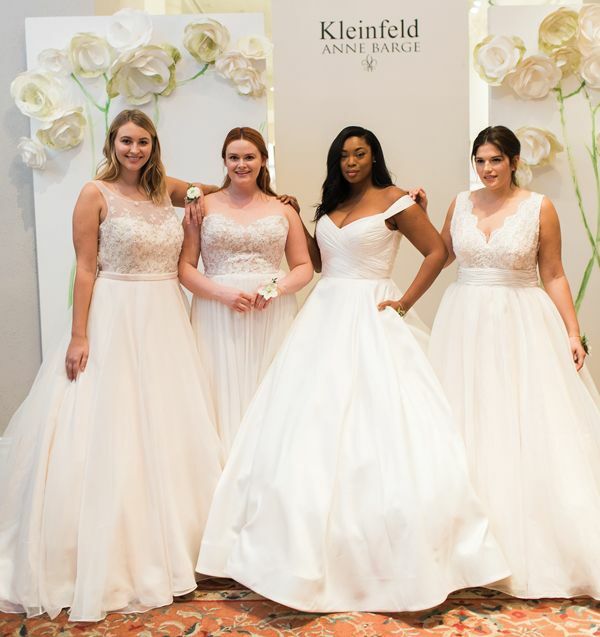 “This is a very exciting time in a bride’s planning and when you’re able to choose styles that reflect what she’s shared with you of her event, then she feels you’ve ‘heard’ her and are invested in meeting her needs,” says la Kelin, who recommends providing stylists and brides with a “tool-kit” of gowns they’d like to try on. A “tool-kit” is a variety of styles, silhouettes, themes and choice of sizes so that your stylists feel more confident in easily finding a gown to fit and meet your plus-size brides’ needs (just as they would a regular-size bride). One final thought: it’s not necessary to have plus-size stylists work with plus-size brides. While the idea may sound good in theory (larger brides might feel more comfortable if paired with someone who can better relate to them, retailers speculate), the reality is that the opposite could also be true – they could feel they’re being singled out due to size, triggering self-consciousness about a sensitive issue. It’s not the size of a stylist that matters; it’s her product knowledge. Where is this category headed? Without question, the plus-size market will only continue to grow in both the short and long term, as obesity rates rise, more designers and retailers take note of this category, and body inclusivity movements gain further momentum. “I think the evolution of women out there is becoming more confident in their own identity and body shape and so as they continue to build confidence in that space they will continue to embrace their body shape and look for labels/manufacturers/ product that is able to complement their personality and body shape,” says Maggie Sottero Designs’ Blanchette. In a world where if you are not inclusive, you will be viewed as out of touch – and subject to the Internet’s favorite pastime: public shaming – expect to see more designers and manufacturers focusing on plus sizes as well as an increasing use of bridal imagery featuring real bodies. With that, consumers will come to expect every salon carry a great selection of plus sizes, and those that don’t will be quickly left behind. Salons that truly excel at this niche, on the other hand, will become even more knowledgeable about and discriminatory in how they buy. This will up the popularity of bridal lines with design and production expertise dedicated to the size-conscious market. While the boom of the plus-size market represents a shift from business ways of the past, both salons and designers agree that those able to successfully make the transition will find this niche to be a secure and substantial part of their long-term sales. Once an afterthought when it came to fashion, the plus-size woman has, within the past decade, stepped into the spotlight, where she is finally being included and celebrated. While there are various reasons for this transition, the bottom line is that it has forever altered the retail landscape, transforming how salons and manufacturers do business and creating great excitement about what lies ahead. 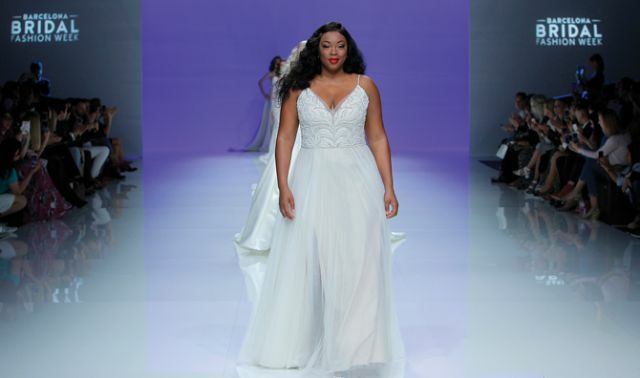 “We could not be more pleased to see that the plus-size category has made tremendous strides in mainstream and bridal fashion alike,” Essense Designs’ Harris says. “It is a victory for women of every shape and size,” she says. “We are excited to see how the plus-size category continues to grow, as more designers and retailers are embracing these practices to provide a wholly inclusive and equalized shopping experience for such an important percentage of our customers.